OPPO today unveiled its hotly talked about Reno series at a global launch event in the UAE. The Reno series is the Chinese tech company’s latest premium smartphone range and another attempt to offer a creative solution to the dreaded notch. It has a unique selfie pop-up camera that slides up like a wedge from the top. The Reno series includes two models, the flagship Reno 10x Zoom and a slightly underpowered Reno Edition, both of which will sport the side-swing pop-up camera. Folks in the UAE can start pre-ordering the Reno series in Ocean Green or Jet Black from April 17th and pre-orders open up in Saudi from April 18th. As for pricing, the Reno Edition will be available for AED 1,899 / SAR 1,899 for the 6GB/256GB configuration but you’ll have to wait a little bit longer for pricing details on the Reno 10x Zoom which will come in a 8GB/258GB config. We do expect the 10x Zoom to a bit pricey but OPPO will be partnering with Etisalat to offer 24month smart pay options to consumers. The Reno 10x Zoom and Reno Edition will sport sizable 6.6-inch and 6.4-inch FHD+ OLED displays respectively. 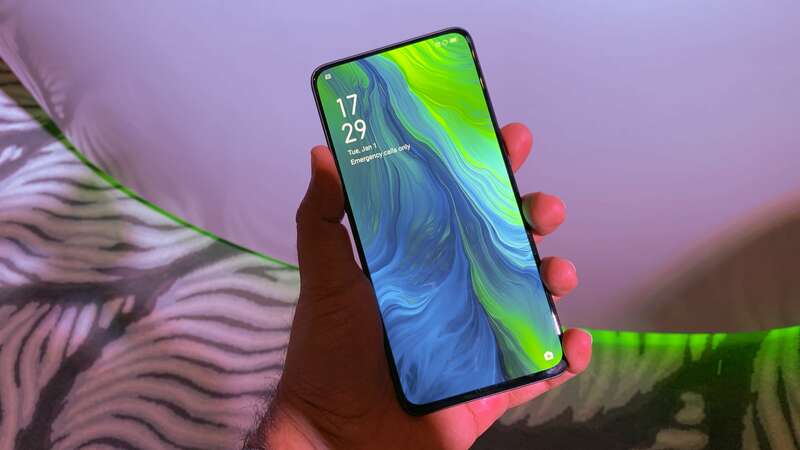 Both models will have Android P and all the software bells and whistles that come with OPPO’s premium range as well as VOOC 3.0 charging via USB-C ports and in-display fingerprint scanners. 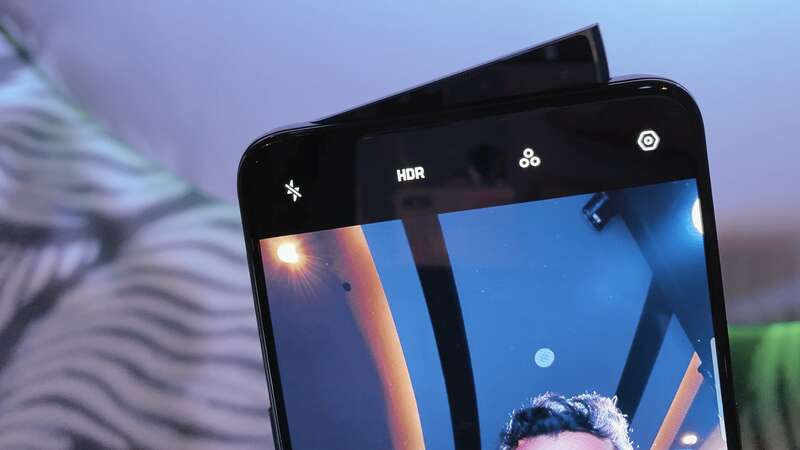 They both will also have the most talked about feature, a16MP f/2.0 pop-up side-swing selfie camera on top capable of taking selfies in low-light conditions. The flagship 10x Zoom model will powered by the latest Snapdragon 855 processor coupled with 8GB RAM and 4,065 mAh battery capacity. There are three cameras on the back starting with the main 48MP main sensor capable of shooting 4K video with a 13MP telephoto lens and an incredulous 10x hybrid zoom for super close-up shots. No headphone jack on the 10x Zoom but does have stereo speakers and supports Dolby Atmos. Specs are slightly watered down for the Reno Edition that has a Snapdragon 710 under the hood with 6GB RAM and a respectable 3,765 mAh battery capacity. It only has two cameras on the back but adds in a headphone jack that’s been ditched on the Reno 10x Zoom. The main sensor is a 48MP lens that can also capture 4K video coupled with a 5MP telephoto lens for those artsy bokeh shots. 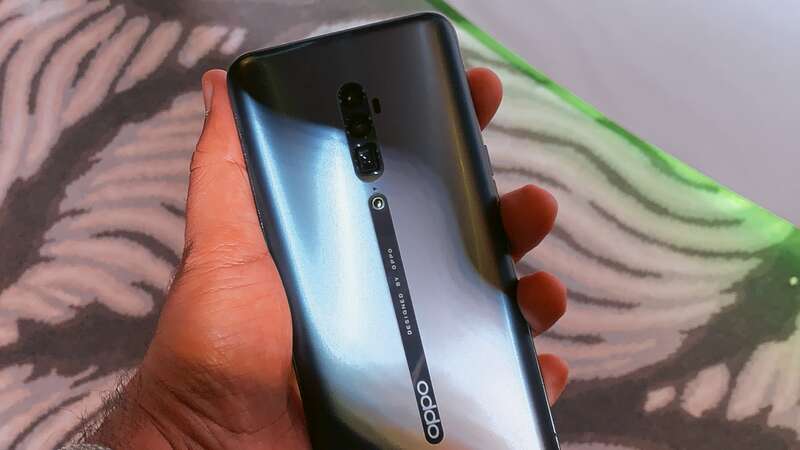 OPPO will also work with Etisalat and Zain to enhance 5G development in the region by carrying out commercial 5G smartphone co-tests.